Everything you need to know about Blackrock Clinic at one Freephone number. 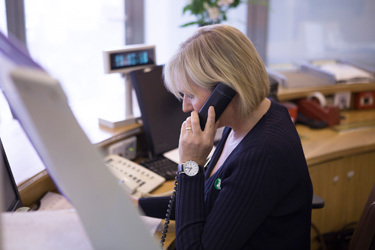 Our experienced staff are dedicated to assisting patients, members of the public, healthcare professionals indeed everyone with enquiries relating to any aspect of Blackrock Clinic and our services. What procedures and treatments are offered? What are the costs and how can you pay? How do you get to the Clinic? What are the admission procedures? January is the time when many people renew their health insurance plans. It’s a process which some find fraught with worry due to the complexity of insurance plans and the terms and conditions which accompany them. One thing which might help is to know that if you have a plan which is the equivalent or higher of VHI plan B (now called Health Plus Access), Irish Life Health (Aviva) Level 2, Laya Essential Plus or Glo Health Better Plan you will be fully covered in the event of requiring admission to Blackrock Hospital. This is because Blackrock Clinic currently waives the normal supplements attached to these plans. To find out if you are covered, call us! 1800 60 10 60.